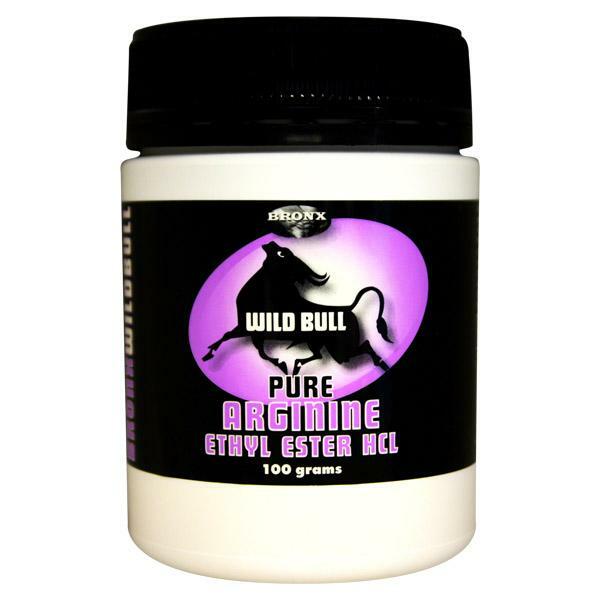 Arginine Ethyl Ester could be the most soluble and potent Arginine supplement on the market. Its' manufacture involves the bonding of Arginine and an Ethyl Ester. The inclusion of an ester bodyguards the passage of Arginine Ethyl Ester through the intestine. Little is lost during digestion. By comparison Arginine and Arginine Alpha Keto Glutarate suffer significant depletion leaving less available for absorption. Hence the inclusion of Arginine Ethyl Ester in pre workout formulae. 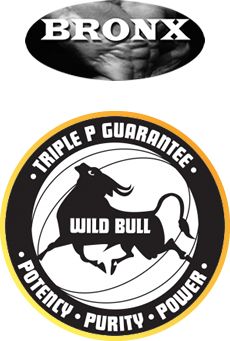 Bronx Wild Bull Arginine Ethyl Ester contains no fillers, artificial flavours or sweeteners, no caffeine, no added yeast, soy, dairy or gluten, JUST PURE WILD BULL.